Up to 72 scholarships, each worth £2,500 towards tuition fees will be available for non-UK/EU students commencing full-time Taught Masters courses in September 2014. The scholarships will be awarded for academic excellence (minimum of a UK upper second class honours degree or the equivalent award, either already achieved or predicted by the candidate’s awarding university). In order to be considered for one of these awards, an application for a place on a taught Masters degree at Aberystwyth University must be received by 31st August 2014. Up to 72 scholarships worth £2500 towards tuition fees for full-time non-EU students on taught Masters courses are available for students who commence their studies in September 2014 on a first-come-first-serve basis. Separate application forms are not required. Therefore it is essential that the application for a place be received by the AU Postgraduate Admissions Office by 31st August 2014 at the very latest. Selection will be on the basis of academic excellence and the applicant’s suitability for their proposed course. A minimum (UK) 2.i Honours (or equivalent) is required for an award. Information on the comparability of non-UK degrees is available at www.aber.ac.uk/en/postgrad/howtoapply/entryrequirements/comparability/. Acceptance of an offer of an award must be received within 2 weeks of being offered. Decisions for 2014 will be made centrally by the Pro Vice Chancellor (or nominee) on the basis of academic excellence. Scholarships are available for entirely self-financed students (i.e. they cannot be held by students with full-awards, e.g. Chevening Scholarships, Commonwealth Shared Scholarship or any governmental award or any partial awards, including AU departmental awards and the Aber-grad Scholarships). Scholarships should be used the year for which they are applied and awarded for. In the event of candidates deferring the year of entry the scholarship can also be deferred. If it is deemed necessary for the Scholarship holder to suspend their studies, the scholarship will be held on University account and carried forward to the year of resumption of studies and the candidate will be expected to pay their contribution on a pro-rata basis. During and after the period of study the candidate may be asked to participate in promotional activities for the University. This may include receptions and social events, testimonial or publicity articles or even assisting with activities in their home country. For taught programmes, scholarships may be transferred between same level degree schemes where the applicant changes the programme of study during the course of the degree. Transfers may only occur between degree schemes of the same level, i.e. from one postgraduate taught programme to another. If, in the view of the appropriate Institute Director, a scholarship holder’s progress is deemed unsatisfactory, the scholarship may be withdrawn. A scholarship may also be withdrawn on the grounds of failure to comply with any of the conditions of the award. The candidate may be required to repay the University any award which has been made, in whole or in part. If the scholar feels that such a withdrawal is unjustified s/he may appeal in writing to the Head of the International Office within 15 days of the date of notification. Where the applicant arranges to pay fees by instalment the scholarship will be deducted from the final instalment. Where the candidate arranges to pay their tuition fees in full in advance, they will receive the scholarship deduction immediately and the tuition fee will be adjusted accordingly. International (non EU) applicants are required to pay a deposit towards their tuition fees in accordance with University policy. This scholarship scheme is subject to annual review. The University reserves the right to make, amend, withdraw, suspend or cancel without notice these and other such Regulations as may be in force from time to time and such decisions shall be final. For further funding opportunities please visit our funding calculator which is updated regularly. 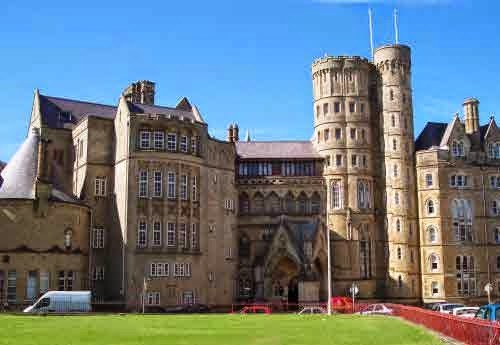 Demikianlah informasi mengenai International Postgraduate Excellence Scholarships (IPES), Aberystwyth University, UK semoga berguna bagi anda.